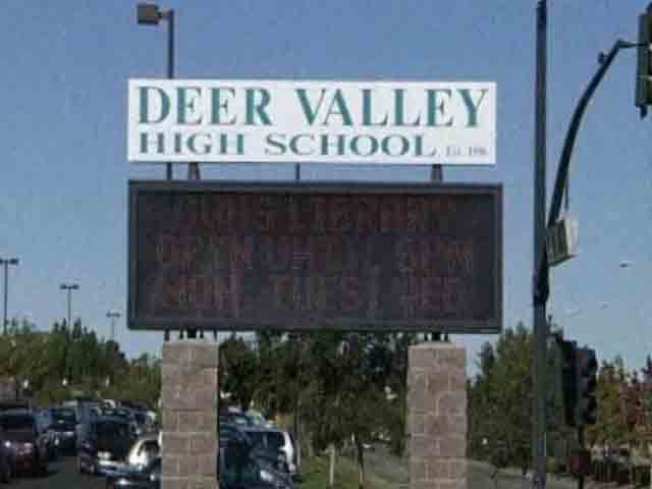 Classes were disrupted at Deer Valley High School Wednesday after a student was shot on his way to class. 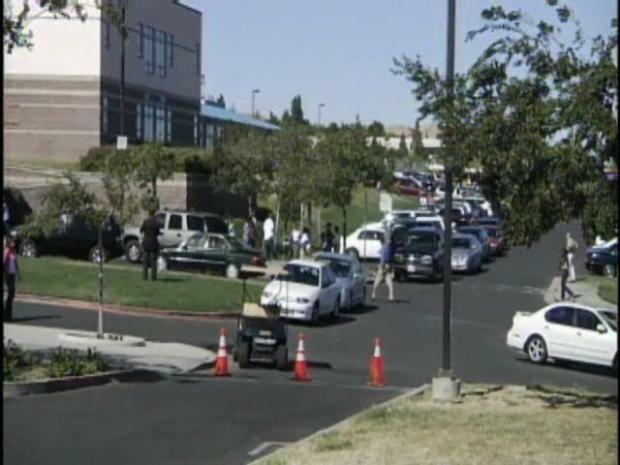 All school's in the Antioch High School District were put under lockdown for two hours Wednesday morning after a Deer Valley High School student was shot while walking to class. Police say the shooting followed an argument between a group of young men near the school and another group of people inside a car driving by. Deer Valley High School co-principal Scott Bergerhouse said the student was airlifted to John Muir Hospital in Walnut Creek after being shot in the arm and in the side. He was talking to emergency workers at the scene. The helicopter landed on the school's football field just before 9 a.m. Some media outlets say the boy was shot multiple times. A student was shot on his way to Deer Valley High School Wednesday morning. The student's parents were called and immediately made their way to the hospital. He has not been identified, but friends say he is a sophomore at the school. The high school went into lockdown right after the shooting, as did all schools in the district. The Antioch district consists of 14 elementary schools, five middle schools and five high schools. That lockdown was lifted around 10 a.m.
All of the other students at Deer Valley were safe, Bergerhouse said. The Antioch high school has 2,900 students. Parents say it was hard to get information from officials following a shooting outside Deer Valley High School. 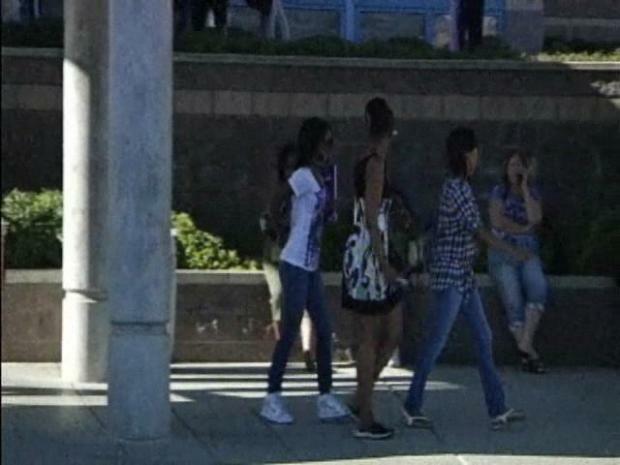 One parent said the her daughter had a cell phone, but was told not to use it by teachers. She said he was frustrated that she was unable to talk or text her daughter. Dozens of other parents were seen standing outside the school, apparently waiting to get in contact with their children. Many decided to take their children home for the day, but the school did not cancel classes. The shooter remains on the loose. No suspects have been apprehended. Bergerhouse said the shooter drove up next to the victim, who was walking to school around 8:30 a.m., and fired at least one shot then drove away. Some students say they heard "pops" prior to class, but did not realize it was a shooting.